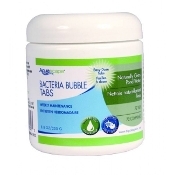 Aquascape Sludge Cleaner Bubble Tabs disperse sludge-eating bacteria quickly, helping maintain a strong biological balance in your pond while quickly cleaning rocks, gravel, and filter pads. 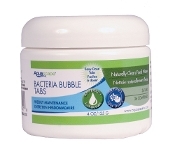 Our Sludge Cleaner Bubble Tabs have over 500 million CFU bacteria count per tablet. Each container of Aquascape Sludge Cleaner Bubble Tabs is completely safe for fish, plants, pets, and wildlife and can simply be tossed directly into the pond, providing a fun and easy way to add water treatments to your pond.